THEN AND NOW: Who remembers life before 700 Sussex? Was the Daly Building worth saving? Cities grow in two directions — outward and upward. In the process of the condo-ization of downtown, rather like taking old perennials out of a flowerbed and planting new, taller ones, samples of the architecture of the past are disappearing. And so we look both up and back, at five condominium developments that are already up — or soon will be — to discover in words and pictures the buildings that went before them. In 1905, architect Moses Edey built a controversial four-storey building right in the heart of the city on the sloping corner of Sussex and Rideau. That corner was as old as the town itself, laid out by Colonel By and first occupied by a barracks. Edey’s innovative edifice was considered too modern at the time for an Ottawa that liked its architecture neo-Gothic and conservative. 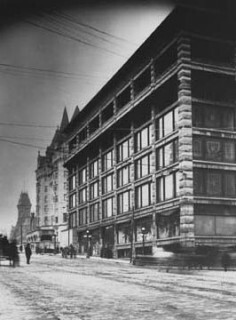 Steel-framed and stone-clad in the Chicago style, it was the only one of its kind in Ottawa, as well as being the city’s first department store. Between 1905 and 1921, it changed hands twice and gained a couple of storeys before the government took it over from the eponymous Mr. Daly. Less than adequate maintenance by the NCC led to its abandonment in 1978 and much-opposed demolition in 1991, despite its heritage designation. The decision as to what to put in place of the Daly Building was a long time coming. There was talk of an aquarium or a glass teepee but mostly of a permanent park. Eventually, and in somewhat of an anticlimax, the Daly site was leased out to Claridge Homes and an 11- storey set of luxury apartments rose up, the economically advantaged tenants moving in in 2005. The condominiums carry the address 700 Sussex and are often described as “prestigious,” perhaps because of their proximity to the parliamentary seat of power. The design of 700 Sussex is basically that of a cement-clad cube, with a niche on the side facing Wellington, which has an agora with seating in front where music is sometimes performed. The public entrance is extremely nondescript, with high-end haberdasheries, a gym, and a restaurant. 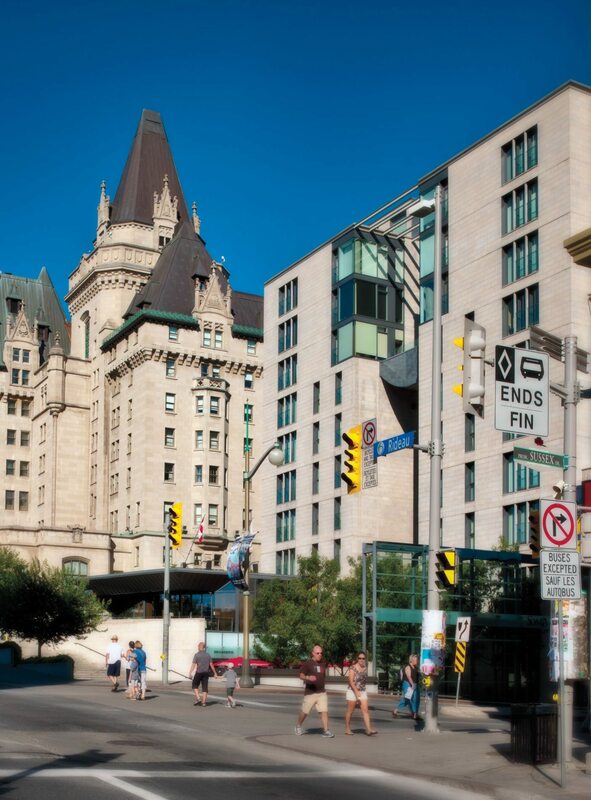 Certainly the building itself does not invite the controversy its predecessor did, but the fact of it — an oasis of luxury condominiums in the showcase centre of Canada’s capital — does.